TROPICAL Cyclone Nora has formed off the Northern Territory and is expected to track towards Queensland. Expected to become a severe category-three as it heads towards the Sunshine Coast, the low north of Nhulunbuy, in the Arafura Sea, formed as Tropical Cyclone Nora this morning. The Bureau of Meteorology said the slow-moving category-one cyclone was about 255km north of Nhulunbuy and tracking east to southeast. "The cyclone is expected to intensify as it moves southeast today heading towards the Gulf of Carpentaria," the BoM said in a statement issued at 4.47am. Recorded winds near the centre of the tropical low were 65km per hour, with wind gusts up to 95km per hour. BoM have warned for gales with gusts may develop up to 110km per hour for coastal areas between Elcho Island and Cape Shield, including Nhulunbuy during Friday. Heavy rainfall is forecast for Torres Strait and Cape York over the coming days, which the bureau warns could lead to flash flooding. Far north Queensland is in cyclone watch zone, gales may develop in areas of Thursday Island and Gilbert River Mouth including Weipa and Kowanyama and Mornington Island on Saturday. Abnormally high tides may develop in areas between the Torres Strait and Karumba with large waves in foreshore areas. The bureau has urged people between Gilbert River Mouth and Thursday Island (including Weipa and Mornington Island) to consider what action to take if the cyclone threat increases and to listen to regular updates. 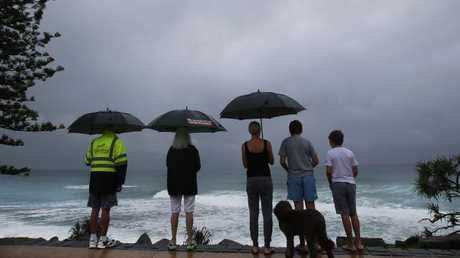 BoM Queensland state manager Bruce Gunn said the cyclone would bring gale-force winds and possible coastal inundation. Wild weather is expected across the north of the state in the wake of predicted cyclone Nora, while rain is forecast for the rest of Queensland. Picture: Luke Marsden. "At this stage the low is forecast to track into the Gulf of Carpentaria where environmental conditions are favourable for further intensification during the weekend or early next week," he said. "Tropical cyclones in the Gulf are notoriously difficult to forecast due to the interaction of sea and land, and we are urging the public stay tuned for the latest official warnings from the bureau and follow the advice of local emergency services." Queensland Fire and Emergency Services Commissioner Katarina Carroll said residents in the warning area should use the next 24 hours to make preparations around the home. "Check your roof today and make sure your gutters are clear so that any heavy rainfall can escape easily," she said. "Make sure you clear your yard of any loose items like furniture that could be picked up and flung around by strong winds. "Have an emergency kit ready with food, water, clothing, your valuables and regular medication in case you need to relocate. "Check in with your local council for any information about where pets can be relocated to or any emergency shelter options that will be available if you need to access them." Ms Carroll said QFES was well prepared and resourced for the possibility of a cyclone impacting the far north of the State and that crews were working closely with local councils and agencies to support preparation activities. "If you require SES assistance please call 132 500. 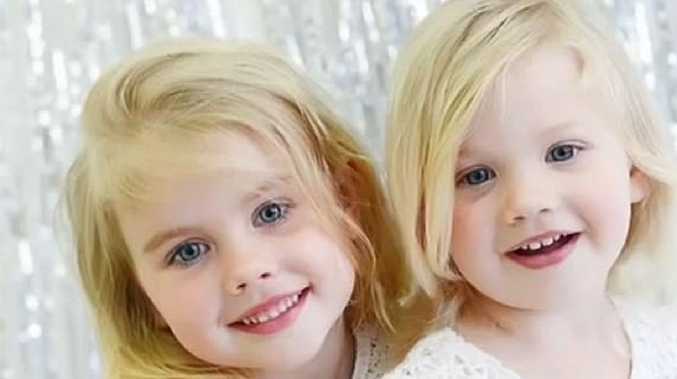 In a life threatening emergency, always call Triple Zero (000)," she said. The southeast will see its heaviest rain today, before it eases on Saturday with just a 60 per cent chance of a shower, and temperatures in the high 20s. In the north, there's the chance of showers in Townsville this afternoon, with a top of 31C. Mackay will reach 29C and Cairns 30C. The highest chance of rain and storms for the region will be over the weekend, with a top of 28C both days in Mackay and Townsville, while Cairns will have a top of 29C. Inland, Longreach is expecting showers on Friday and Saturday, with tops in the low 30s clearing on Sunday, while in Mount Isa, showers are most likely on Sunday with temperatures in mid 30s. Longreach has possible thunderstorms forecast for the rest of the day with a top of 34C, and Mount Isa has a 30 per cent chance of storms and a top of 35C. In Birdsville, rainfall is most likely today and Friday with a 70 per cent chance of showers, and a forecast top of 37C today. Next week, the wet weather is expected to ease, with more sunshine and warmer temperatures in the east of the state along the coast.